Tonight! ALL NEW Season Premiere Of Black Ink Crew: Chicago Season 3 at 8PM on VH1 #BlackInkCrewCHI #BlackInkCHI ~ Phresh Hott New! On today episode all new season premiere of Black Ink Crew: Chicago, “The New Barack and Michelle Obama” Ryan battles his staff over their growing disrespect towards him. Don and Ashley's marital bliss is threatened. Kat leaves Chicago for LA. Van starts a brawl at the 9Mag anniversary party. Ashley starts trouble with Charmaine. Check Out The First 5 Minutes Of The Black Ink Crew Chicago Season 3 Premiere…… Look below as everything is going Ryan's way... he's got his girl back and the shop is more successful than ever but when he bans Danielle's boyfriend, Terrence, from the next 9 Mag party things get tense. 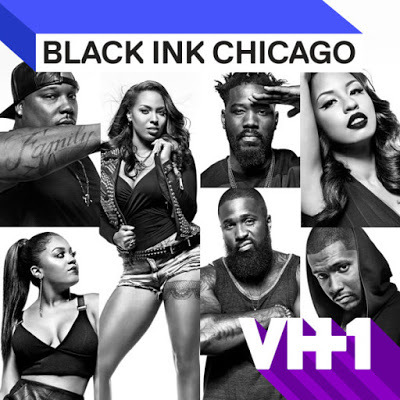 Tune in to the Season 3 premiere of Black Ink Crew Chicago Wednesday July 19th + 8/9c on VH1.